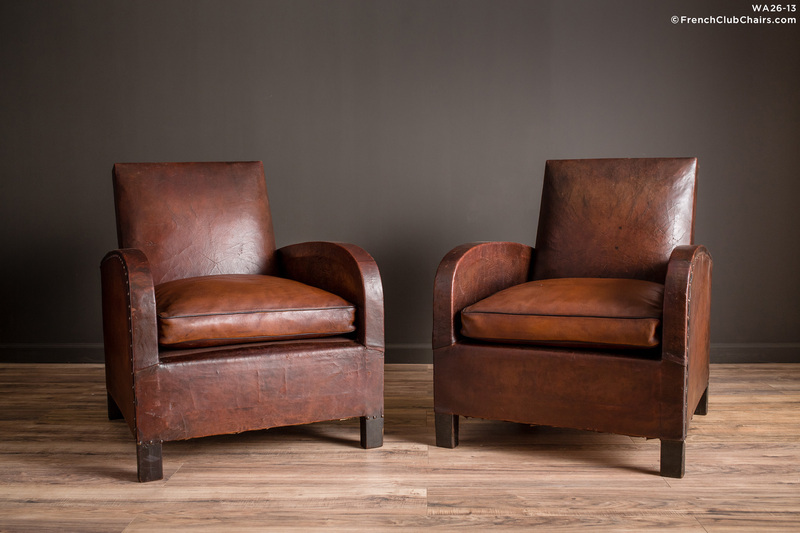 Clean, mid-century, an almost Streamline aspect is what sets this pair of French Club chairs apart. They make a bold addition to just about any decor, but would shine in a mid-century or contemporary setting. Excellent overall condition. They have restored leather and color matched cushions, the rest is all original leather circa late 1940s. measurements: depth-34", width-28", height-32", seat depth-21", seat width-22", seat height-17"